#34. 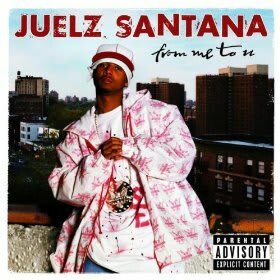 Juelz Santana "Okay Okay"
It's impossible not to smile at Juelz's youthful—and, at times, almost comical—enthusiasm. He brings an undeniable energy and is always good for an amusing bar or two that will leave you thoroughly confused, even if you love the way it sounds. Here, for example, he boldly proclaims, "Harlem...only borough that was built on an island." Um, what about, say, Staten Island? And, if one wanted to further explore formalities of geography, both Brooklyn and Queens are part of Long Island.